Editor’s note: We are delighted that Trevor Marc Hughes has ventured into the voluminous Laing Papers at the British Columbia Archives to assess an early unpublished book manuscript by the Canadian naturalist Hamilton Mack Laing (1883-1982). The subject of a biography by Ormsby Review editor, Richard Mackie, Laing grew up on a farm at Clearsprings, south of Winnipeg, and taught school in rural Manitoba between 1901 and 1911. He wrote about nature and the outdoors and published his first book, Out with the Birds (New York: Outing Publishing Company), in 1913. Passionate about art and photography, Laing studied at the Pratt Institute in Brooklyn, New York from 1911 to 1915. He bought a motorcycle, a Harley-Davidson, and spent his summers bird-watching in Manitoba. In June 1915, his Pratt studies behind him, in New York he bought a new three-speed, eleven horsepower, Harley-Davidson motorcycle with a top speed of thirty miles per hour — destination Portland, Oregon. 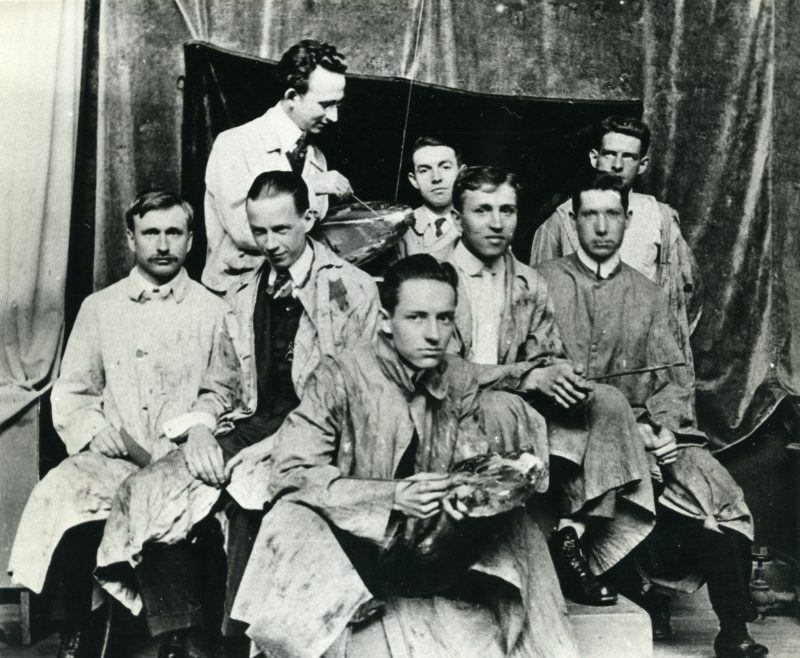 Mack Laing at far left in a painting class at Pratt Institute, New York, 1914. Comox Archives. In July, in Nebraska, Mack met up with his younger brother Jim, who drove Mack’s refurbished 1914 Harley; and along the way, they picked up a young Californian named Smith Johnson for the journey between the southern desert and San Francisco. The Laing boys then motored north to visit their parents who had moved to Portland to be near their daughter and her American husband. In 1917, Laing returned to Canada to join the war effort as a munitions instructor for the Royal Flying Corps at Beamsville, Ontario, after which he moved to B.C. He lived and wrote on the Comox waterfront between 1922 and his death in 1982, aged 99. Trevor Hughes relishes Laing’s long-forgotten Transcontinentalist for its reminder that, “in the days before Google Street View preplanned our road trips, gypsies and adventurers like Laing sought and welcomed the unknown.” — Ed. 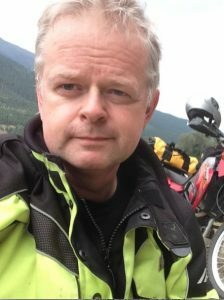 I often write about the connection with people afforded to motorcycle travellers. As one of them, I can personally vouch for the quality of human contact I’ve made along the open road in my two-wheeled travels. Laing with his Harley Davidson in Manitoba, 1914. Comox Archives. 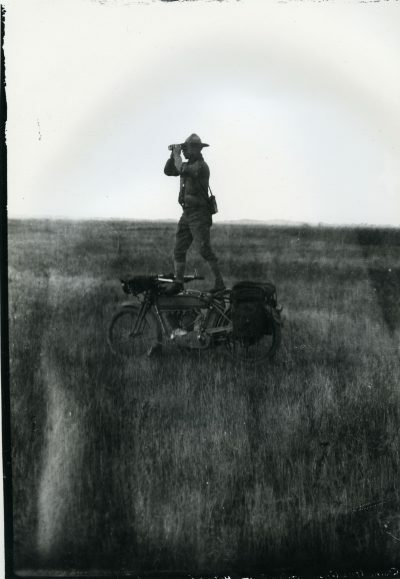 When Ormsby Review editor Richard Mackie told me of an archival treasure in the form of a century-old account of a Canadian riding across the United States of America from east to west, I had to read it. 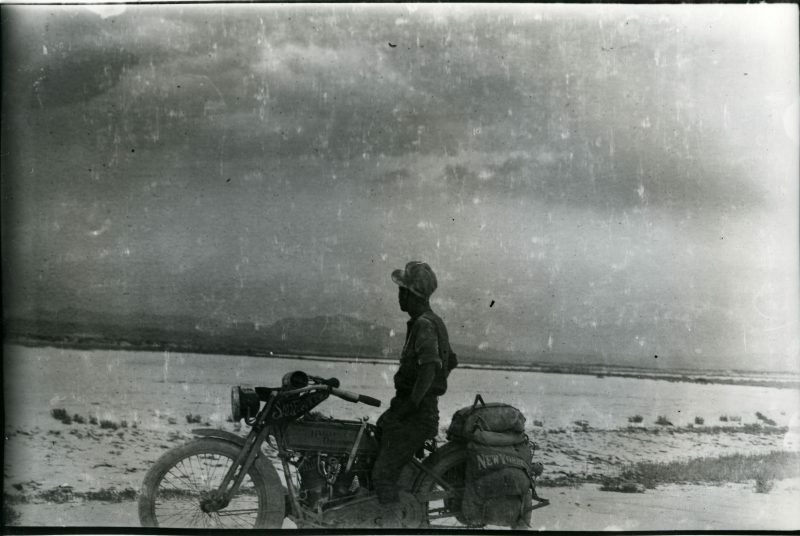 I mean, I read a lot of accounts of trans-continental motorcycle journeys, but Hamilton Mack Laing’s The Transcontinentalist: Or, The Joys of the Road is the story of riding a Harley-Davidson across its country of manufacture in 1915. What were the roads like? What were the people like? How did he get on? Its dedication sets the stage for all those who have risked motorized travel on two wheels: “To every lover of the Winding Road.” The Road is indeed a character in this tale. 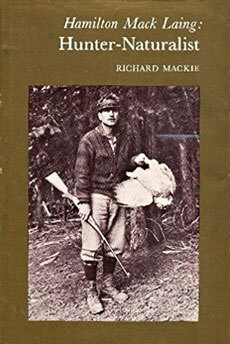 Mack Laing was a lover of the great outdoors, of flora and fauna, but specifically bird life, as Richard Mackie shows in Hamilton Mack Laing: Hunter-naturalist (Sono Nis Press, 1985). Laing watching cranes at Ebor, Saskatchewan, 1914. Comox Archives. Laing was a Comox-based writer and naturalist for much of his life, and one who was passionate about the preservation of birdlife wherever he went. 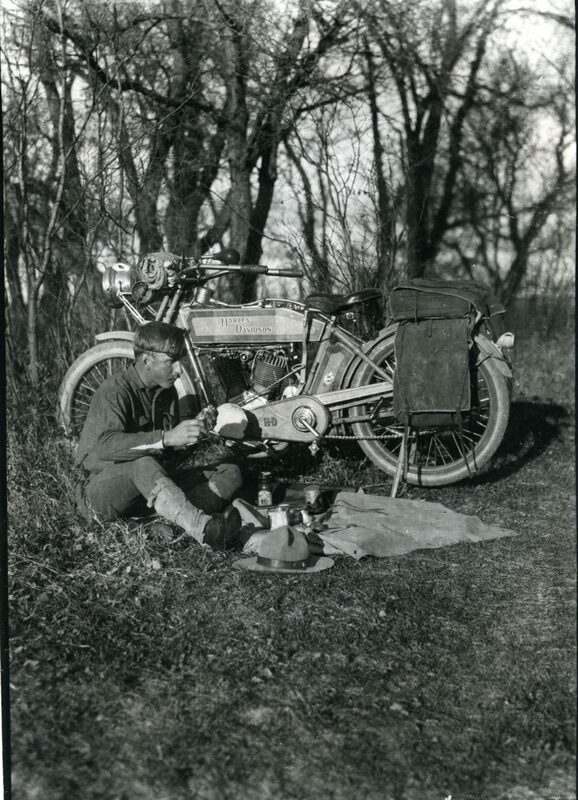 His motorcycle travels detailed not only his connections with the everyday citizens of the United States but also chronicled the avian and human characters he came across while pursuing his ornithological interests from the seat of his Harley. There were many opportunities to wax philosophical as he set out from St. James Place in Brooklyn, Mack Laing ruminating as many motorcyclists do today at the start of a lengthy journey: “How similar to a road is our entire spin through life. We may see the path clearly enough to the turn, but beyond it, the future must reveal.” Certainly, in the days before Google Street View preplanned our road trips, gypsies and adventurers like Laing sought and welcomed the unknown. Laing and companion have a morning bath in the desert, 1915. Comox Archives. The Transcontinentalist contains many other such accounts, and, while reading them, I was glad Mack Laing was spry, young, and full of vim and vigour during his cross-continent adventure. 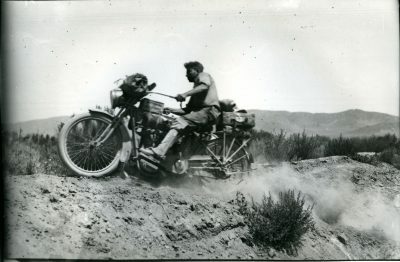 Off-road in the desert, 1915. Comox Archives. As a motorcycle traveller I can attest to being vulnerable to the elements. In many ways it’s what makes travel on two wheels more authentic than other more vacuum-sealed forms of travel. I remember a thunderstorm that I rode through in southern Alberta while riding to Waterton. I could see the lightning flashes ahead on the prairie and foothills of the Rockies. Laing sets out early, at 6 a.m., to get the best of the day’s riding in, but also to get to the nearest town’s breakfasting spot, his motorcycle’s panniers’ stores having dwindled miles before. “I got wet to the knees with soupy liquid, and finally did a grape-vine down Main Street in the direction of an eating-house sign, and then subsided.” Taking on mud, a nemesis of the biker, before breakfast can be a nasty business. While reading Laing’s account, I couldn’t help but follow his progress using the modern convenience that is Google Street View, to see the state of the roads he rode today. What I found was glorious asphalt along a succession of secondary US highways. One thing Laing excels at is rich description of the places he passed through. Beyond his admiring reports on bird behaviour, his analyses of characters he meets are refreshingly clear and observant compared to the brief glimpse that some of today’s motorcycle travel accounts provide in their pages. He discovers several travel companions, including the indefatigable Frat, also riding a Harley-Davidson. But it’s the unexpected callers that he revels in describing, not unlike a novelist making an introduction. “Bill, a native of Ontario, Canada, carried a .30 Winchester and had but to open his mouth to make plain that he was not the man his rough exterior betokened.” Laing met this new acquaintance while camping near Idaho Springs. Every day seems filled with song for Laing — bird song, that is. It is an honest, pleasant and fulfilling connection with the natural world within the boundaries of the continental United States that he finds in spades. He himself is keen to point out how his planned route avoids large cities on purpose. Mack Laing is drawn towards the natural landscape, peace and quiet, save for the barking of his reliable metal steed Betsy. Laing takes a break in the desert, 1915. Comox Archives. I smiled widely when I read this part. Hamilton Mack Laing makes every evening’s camp a fresh, new opportunity to experience the wild world. His observations, such as spotting a collection of antlered heads on display, stir his “hunter-pioneer blood,” exposing a certain aspect of his character, demonstrating that, with adventure travel, we can see ourselves in a new light and meet new aspects to ourselves. 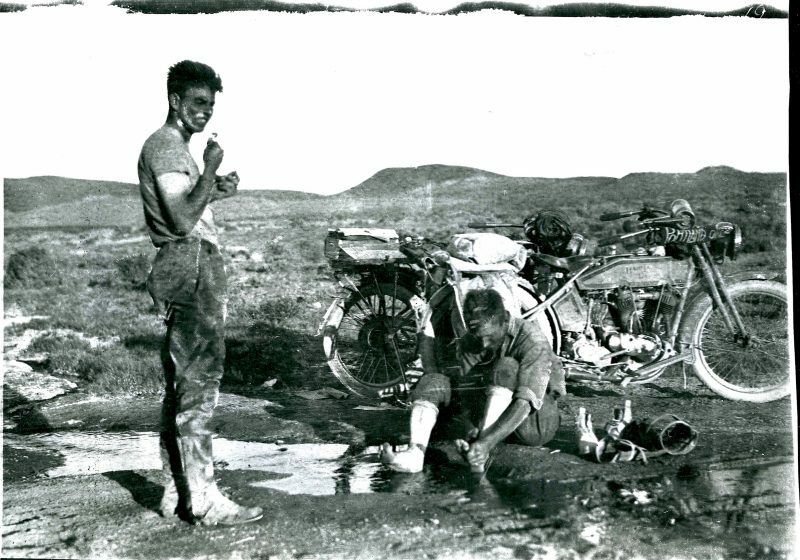 To think that Laing experienced everything he did, without the modern accoutrements and gear of the motorcyclist such as a helmet, padded mesh jacket and pants, a one-man tent, or camping equipment! A bedroll and tarpaulin did the trick, as did his trusty companion Betsy. The rattlesnakes that advisors in the east warned him about were few, and usually fell under his wheels when encountered. People were friendly and most of the time helpful and pleasant. Sometimes he even found lasting travel companions. Although he did once pay the price for drinking bad well water. 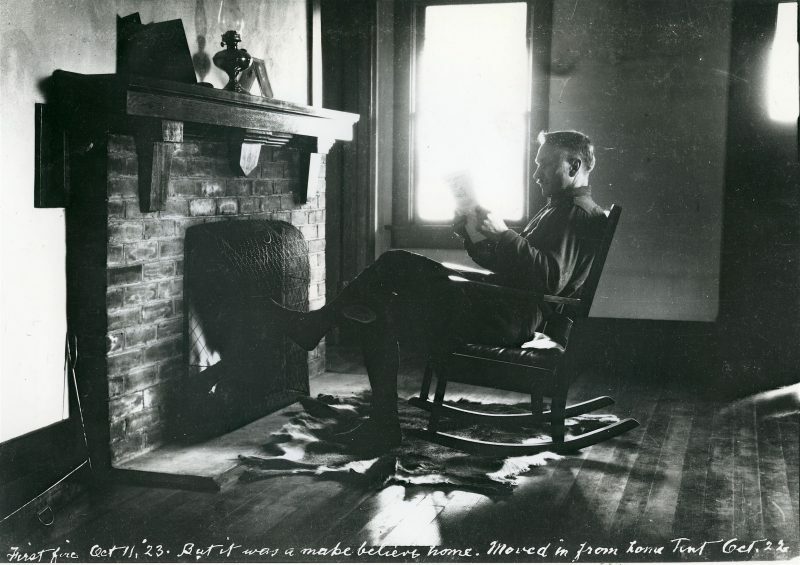 Laing in his Comox home, 1923. Comox Archives. On its typewritten pages, I couldn’t help but grin when the lettering got darker, the result of a change of ribbon. Road warrior Trevor Marc Hughes. Trevor Marc Hughes lives in Vancouver with his wife, Laura, and his two sons, Michael and Marc. If he can help it, he doesn’t ride his motorcycle in Vancouver; he takes it out of town, where he enjoys exploring British Columbia. His focus is speaking and writing about his adventures and learning more about his home province’s history. 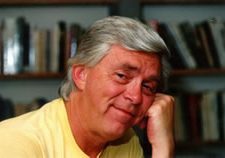 A former actor, he was in the regular cast of CBC-TV’s Northwood and worked as a broadcaster at CBC Radio Vancouver, mainly with The Arts Report. 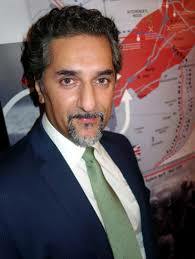 His two books are Zero Avenue to Peace Park: Confidence and Collapse on the 49th Parallel (2016), and Nearly 40 on the 37: Triumph and Trepidation on the Stewart-Cassiar Highway (2013), both published by Last Autograph Press. He has written for magazines such as Canadian Biker, Rider, Motorcycle Mojo, Inside Motorcycles, and RidersWest. In 2016 and 2017 he spoke at Horizons Unlimited Canada West, a gathering of overland travellers in Nakusp, giving a presentation he calls Riding Across Historic British Columbia. 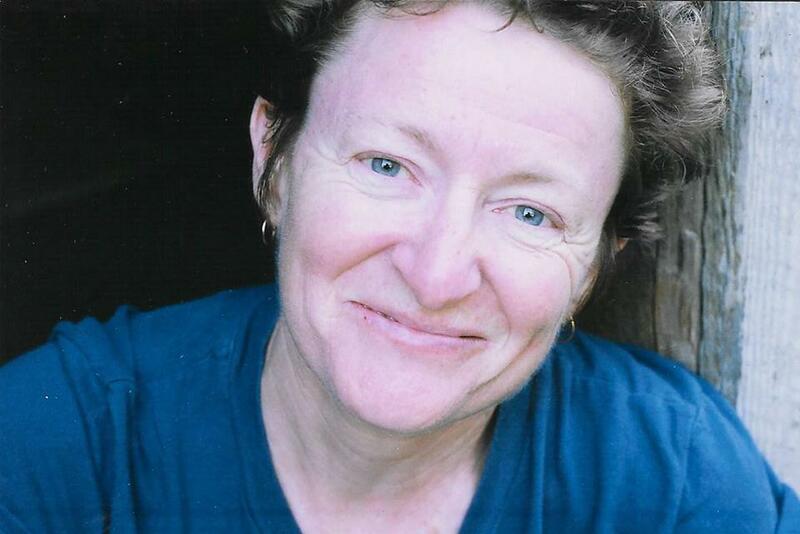 Trevor is now editing and preparing Laing’s The Transcontinentalist: Or, the Joys of the Road for a B.C. publisher. The Ormsby Review. More Readers. More Reviews. More Often. 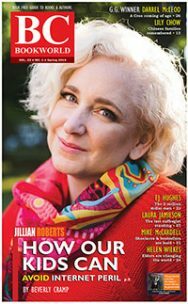 The Ormsby Review is a new journal for serious coverage of B.C. literature and other arts. It is hosted by Simon Fraser University. The Advisory Board consists of Jean Barman, Robin Fisher, Cole Harris, Wade Davis, Hugh Johnston, Patricia Roy, David Stouck, and Graeme Wynn.